Let's just say he's a man of lofty tastes. 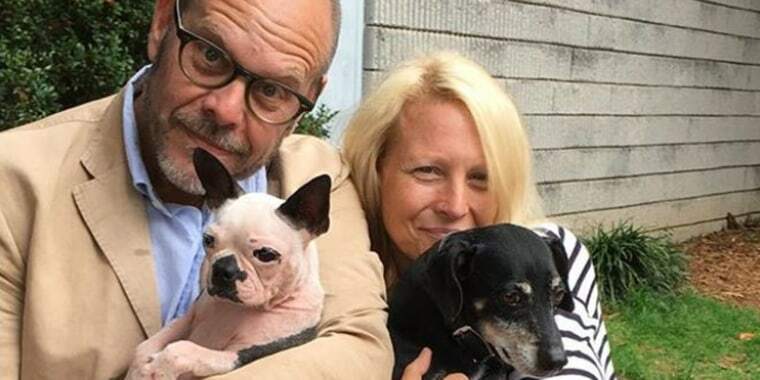 Alton Brown, the Food Network host who has been exploring science and cooking for 14 seasons on "Good Eats," met his fiancée on the job. Not his job, however — hers. In a recent interview with Architectural Digest, Brown disclosed that he met his betrothed, Elizabeth Ingram, when he hired her to design his gorgeous new loft in Georgia. Ingram, a restaurant and residential designer based in Atlanta, met Brown at the October 2016 signing for his cookbook, "EveryDayCook." Although Ingram did not know who the famed foodie was, mutual acquaintances reportedly told her that he admired several of her restaurant interiors, AD reported. Last year, when Brown closed on a three-bedroom loft in Marietta, Georgia, he recruited Ingram to help transform it over a seven-month renovation (he didn't even see the interior before making the purchase). While a lot renovations can cause stress among all parties involved, during that seven-month period Ingram and Brown found love. "At some point, meetings turned into dates," Brown, who also hosts "Iron Chef America" and "Cutthroat Kitchen," told AD. "I'm not going to lie — and I can't put my finger on when it was — I started looking forward to seeing her more than the space." The completed loft is a dreamy, Instagramable masterpiece filled with dark hues, plush velvet couches, book cases and personal touches (like the vintage light fixture hanging above the dining table that Ingram repurposed). Both Brown and Ingram, who became engaged in April, now live in the loft they designed together. "I've never lived in a place where in the beginning of the day, I don't want to leave, and at the end of the day, I can't wait to get home. And it's not just because of who is going to be there," said Brown, who will marry Ingram in Charleston, South Carolina, at the end of September. Shortly after the wedding, Brown will be wowing audiences again with his comedic approach to food science, trivia and kitchen tutorials with the premiere of "Good Eats: Reloaded" on the Cooking Channel on Oct. 15. In his new show, Brown will revisit favorite "Good Eats" episodes — that show stopped airing new episodes in 2016 — with some new spins and cool culinary remixes.